Thanks to social media, privacy is gone in the education world. Scandals and complaints involving teachers who misuse social media have been occurring more frequently around the U.S., which has led school districts scrambling to create new guidelines. Many teachers believe the First Amendment gives them the right to post anything they want onto social media sites because it's their own time, words, resources and — let's face it — their "private" social media account. Unfortunately, this isn't the case according to the courts. The numerous scandals that have occurred in recent years have shown us the key factors on whether teachers' speech is fully protected by the First Amendment. The main focus is on exactly what a teacher has written/said. If it does not focus on a matter of public concern, then it is not protected. It's a tough situation — one that should be discussed. Only educators can decide whether social media is right for them. There are benefits, but also risks when using it. Just by having a social media account, you're opening yourself up for vulnerability. Anyone, anytime can find it, because it is searchable. Anyone, anytime can find it today, tomorrow and years from now, because it's always there. Anyone, anytime can copy it for their own personal use. Anyone, anytime can share what you post, allowing their friends to see it — possibly creating a global audience. With that said, most social media sites have privacy setting that will help prevent — but not guarantee — your profile to be hidden from the public. As the new school year begins, get ahead of the curve and start working on your social media privacy settings. The infographic below by website review specialist Who Is Hosting This? 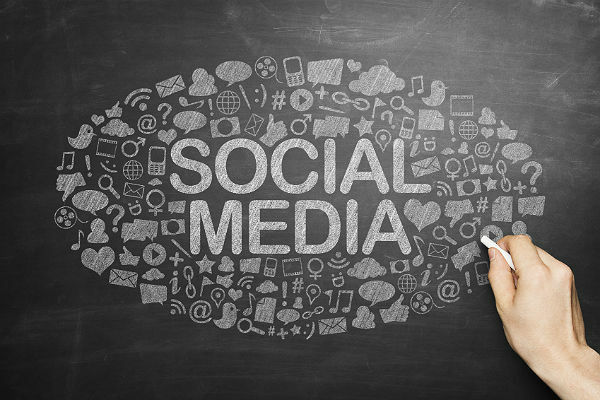 gives some great advice on best practices for social media and teachers. Jessica Taylor is the medical editor for MultiBriefs and has been a journalist and writer for more than 10 years. Jessica received her bachelor's degree in communications with a dual concentration in media studies and journalism from Virginia Wesleyan College. She’s been awarded first place in headline writing from the Virginia Press Association and an honorable mention for design and content from the Society of Collegiate Journalists.